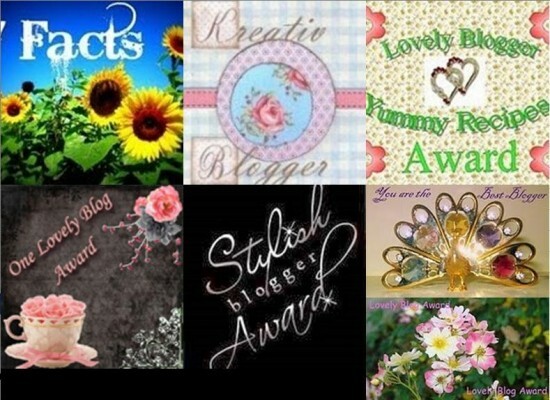 Deelicious Sweets: Blog Award with Update! I am beaming! This is only my second blog award :) I am patting myself on the back as I type this. That's rather hard to do! I have really put a lot of effort into making my blog and the pictures I take better and my efforts are paying off. I realize now how lazy I was in the past, snapping pictures with my Blackberry and posting them. The shame! What a difference a nice camera makes. Thanks to my hubby for teaching me how to use it. This award was given to me by Nami over at Just One Cookbook. We have only recently become online friends. We met through Foodbuzz. I have always heard that stereotype about foodies being snobby. I have to honest with you, I don't know where that stereotype came from. Everyone I have met has been wonderful! Please, go check out Nami's foodie site. She has some amazing recipes and I am dying to try one! In fact, I will put one on the menu for next week. What one will I choose? This one looks awesome! Orange Teriyaki Chicken Drumettes. I hate to swim in lakes, if I can't see the bottom I panic. I hate to think of what is going to touch my foot. I hate when I get to a part of the lake that is colder than the other parts. What is up with that? I am not materialistic, I could live in a hut on the beach and be just as happy. I am extremely allergic to dogs and I had a really bad asthma attack one night. I saw my life flash before my eyes and felt at peace while struggling for oxygen. We got rid of our dog the next day. Valentines Day is my favorite Holiday. It's about you and your lover and nobody else. My favorite thing is belly laughs. I find people who can make me laugh very attractive. I love decorating. I have painted my house so many times, I am convinced we have lost some square footage. My left leg is slightly shorter than my right. Wow, that's all very interesting, right? I know! Now, I am supposed to pick 15 bloggers that I feel deserve this award. There are so many to choose from though! I will have to get to that later. This is going to take some time! Look for an update soon! Please take a moment and pay these talented foodies a visit! Don't go in hungry though. Many thanks again to Nami over at Just One Cookbook! Congratulations! Well deserved. I just saw this after giving you a challenge .. not sure if you saw my note ... I challenged you to try the stuffed bell peppers and I will host your post! @Chris, I am up to your challenge! @Nami, Thank you for sharing the award(s)! You are such a sweet person and I am so glad we have become friends :) By the way, I have your last email in my inbox. I will reply, I know I have been rude! Sorry! Congratulations on the award. I also love how the awards are rolled into one graphic. And thank you so so much for passing this on to me. It's such an honour. It's also lovely to see some new blogs that I don't know so look forward to reading them, too! Oh and I love the wee facts about yourself. Belly laughs? Can never get enough of them! CONGRATULATIONS! Thanks for the mention and keep up the awesome blogging! Thank you all for visiting me! You keep me motivated and your yummy blogs inspire me. You all deserve it! Thank you so much. How incredibly flattering. I couldn't agree with you more about the miss conception of foodies. One of the biggest reasons I hesitated in creating a blog was I didn't want to be wrapped up in food snob persona, but it's not that way at all. What a small, wonderful world it becomes when you get to know people. I am so with you about hating to swim in lakes. For me it is any water that you can't see your feet...especially the ocean! I hate swimming in the ocean! Unless it's the Caribbean :) Thank you and you're welcome! might check things out. I like what I see so now i'm following you. Look forward to looking at your web page again.